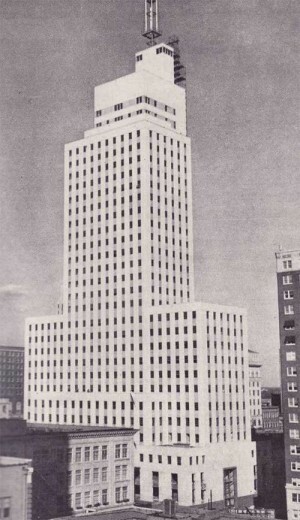 The Mercantile National Bank Building (known colloquially as The Merc) was the former home of the Mercantile National Bank, later MCorp Bank, located at 1700 Main Street in downtown Dallas, Texas (USA). It is a contributing structure in the Main Street District. 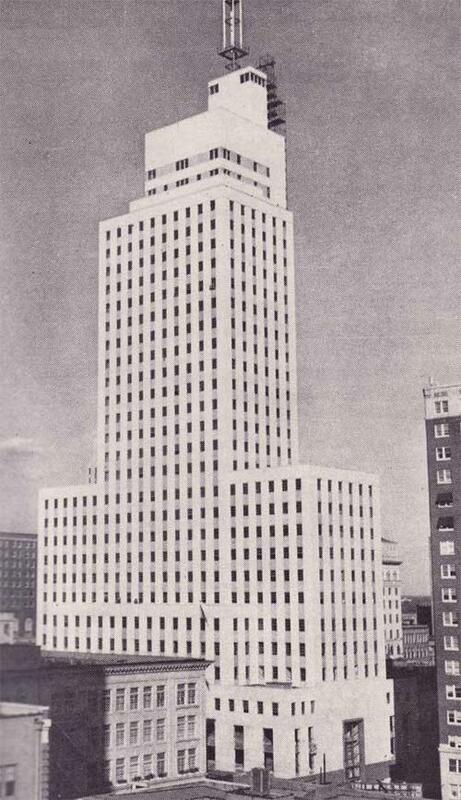 The design of the skyscraper features Moderne styling from the Art Deco era and was designed by Walter W. Ahlschlager. 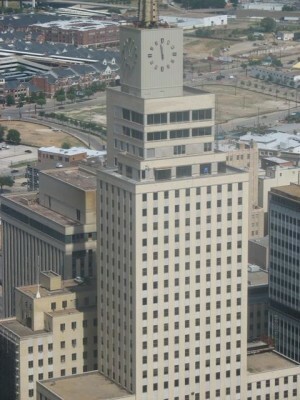 The building has a series of setbacks that is crowned by an ornamental four-sided clock along with a decorative weather spire. The Merc was the main element of a four building complex that eventually spanned a full city block. The site along Ervay Street between Main and Commerce previously housed the landmark 1889 Post Office Building which featured a prominent clock tower and gingerbread architecture. After abandonment it was the subject of rumors, plans and schemes but by 1936 had been declared a liability by local business leaders and was razed. The Mercantile National Bank tower was completed in 1942 and was the only major skyscraper constructed during World War II. The U.S. government had called for a halt of private construction to fuel supply materials for the war effort. Any0-250 ft.250-500 ft.500-750 ft.750-1000 ft.1000+ ft.